One of the major challenges to proton beam therapy at this time is the uncertainty of the true range of a clinical treatment proton beam as it traverses the various tissues and organs in a human body. 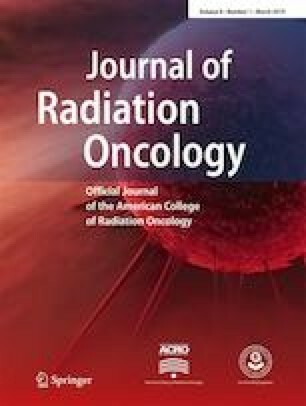 This uncertainty necessitates the addition of greater “margins” to the planning target volume along the direction of the beam to ensure safety and tumor target coverage. Proton radiography holds promise as both an image-guidance method for proton beam therapy and as a means of estimating particle beam range in the clinic. In this brief report, we present some of the first real and reconstructed proton radiographs using our particular system. Our qualitative review of these images indicates that this method has excellent potential as a proton radiography–based image-guidance system. Based on the encouraging results of our preliminary work, more rigorous and quantitative analyses will be performed shortly and we shall continue to explore the potential of this approach for addressing the particle beam range uncertainty issue. This study was funded in part by The National Cancer Institute of the National Institutes of Health contract number R44CA203499, the US Department of the Army contract number W81XWH-10-1-0170, and the US Department of Energy contract number DE-SC0005135 sponsored this work. The US Army Medical Research Acquisition Activity, 820 Chandler Street, Fort Detrick, MD, 21702–5014, is the awarding and administering acquisition office for contract number W81XWH-10-1-0170. The content in this article does not necessarily reflect the position or policy of the Government, and no official endorsement should be inferred. Don F. DeJongh and Victor Rykalin are co-founders of ProtonVDA, Inc., Naperville, IL, 60563, USA, and Ethan A. DeJongh is an employee of ProtonVDA, Inc. None of the other authors have relevant potential conflicts of interest. James Welsh has served in the past as an advisor to ProTom International. This article does not describe any work done with living animals. All patients from which the CT data was obtained provided informed consent for use of their anonymized images for this study.